Last Saturday’s experiment for SAI KIDS Foldscope Club was about ants. This experiment serves as a follow up to the previous session on Division of Labor. The goal of the experiment is to have a better understanding of the topic as a concept and value. To do this, the members observed and discussed the way of living and anatomy of ants. Mr. Johnson Donato facilitated the session with the help of KIDS Club volunteer, Mr. Regie Cataluna. As an introduction for the day’s experiment, the learners first played a puzzle game wherein they needed to put together the pictures of the ant’s parts. Then each group prepared their samples for the experiment. A group discussion followed after all members of each group finished observing the ant samples using Foldscope. During the discussion, the children were amazed by how these insects communicate with each other using pheromones ( a chemical produced by social insects), sound, and touch. They also learned the tasks of each ant in the colony according to their age and roles. 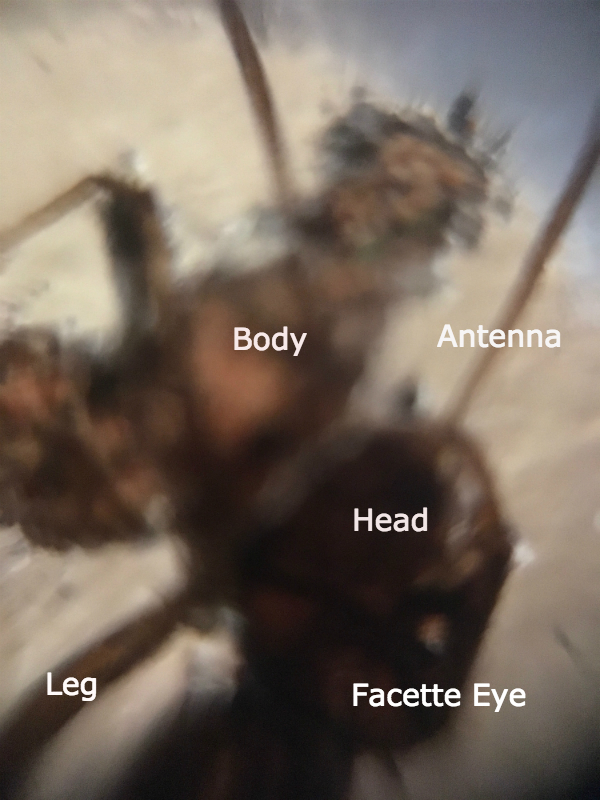 As they discussed the images they saw under the Foldscope lens, the group also discussed about the different parts of the ant and their functions. They were surprised to know that the ants don’t have lungs like humans and most animals.